Amélie Callot and Geneviève Godbout, ill.; Lara Hinchberger, trans. 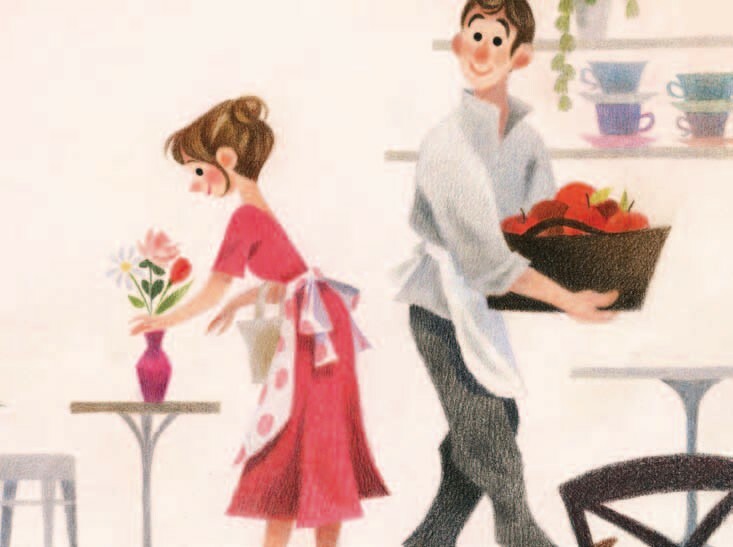 The Rituals of courtship and village life are at the heart of two new swoon-worthy picture books – one about finding joy and bliss in the everyday, and the other, a loving, biographical ode to a revered writer. The Pink Umbrella, by French author Amélie Callot (translated by Lara Hinchberger), is a winsome, slice-of-life confection. Adele runs the bustling Polka-Dot Apron café that is the place to be in her tiny coastal hamlet. Its success is due in no small part to Adele’s effervescent loveliness. However, when rain clouds appear, Adele’s sunny disposition takes a dark turn and she takes to bed, despondent.